Managed Colocation - Voonami, Inc. Allow our experienced and certified engineers to be an extension of your team. Our certified staff can help assist your team with the most critical of tasks related to your infrastructure. Our remote hands staff can install equipment in your racks, run cables, add servers, reboot systems, verify console activity and a whole lot more. Deliver a system ready to use according to your requirements or following our best practices. Let our team review, approve and deploy patches to keep your system secure and up-to-date. 24×7 monitoring and management of your system to ensure it is available and running at all times. Installation, configuration and ongoing management of your firewall. Includes firmware updates and any needed policy changes. 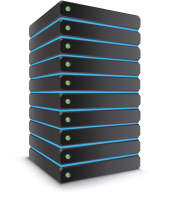 Manage and monitor backups and perform routine restores to ensure full recoverability. Our team of experts can monitor and analyze your environment to ensure your infrastructure is being protected against threats and targeted attacks. Architecture, installation, configuration and ongoing management of your routers and switch gear. Our certified staff know what it takes to keep your network online and fully optimized. Includes firmware updates and on-going configuration changes. Design, installation and configuration of your storage arrays.